In this age of “Bring Your Own Device” (BYOD) the demand upon IT teams to meet the growing needs of employees and users has greatly increased with the addition of smart phones, tablets, and laptops to the workplace. With more and more employees working remotely or traveling for business, there is a great need for access to pertinent data while on the road or working from home. 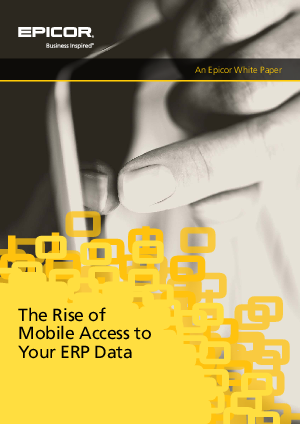 Download this whitepaper to learn how to achieve mobile access for your ERP data and see why organizations are quickly making these adjustments to meet the needs of not only their employees but also their users.